Can y’all believe that Christmas is almost here? It has snuck up on me big time. Again. Today, I wanted to share some Christmas Inspiration from Velvet Finishes. Now in my book, Christmas colours are not always the traditional red, green, and white. As you can see from my Merry and Bright Holiday home tour I used an array of colours and patterns. 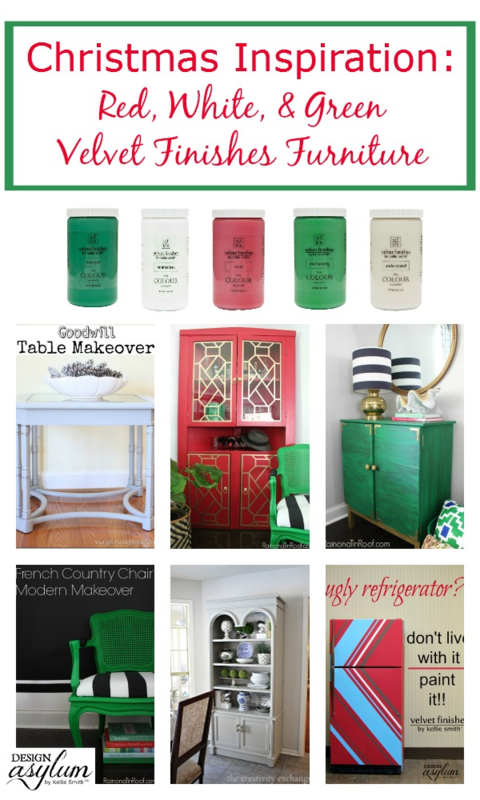 But today, let’s take a look at these red, green, and white Christmas looks that were achieved with Velvet Finishes – the NO sand, NO wax, NO BS (brushstrokes) furniture paint! 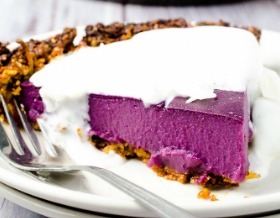 Let’s kick this Christmas round-up with a show stopper! 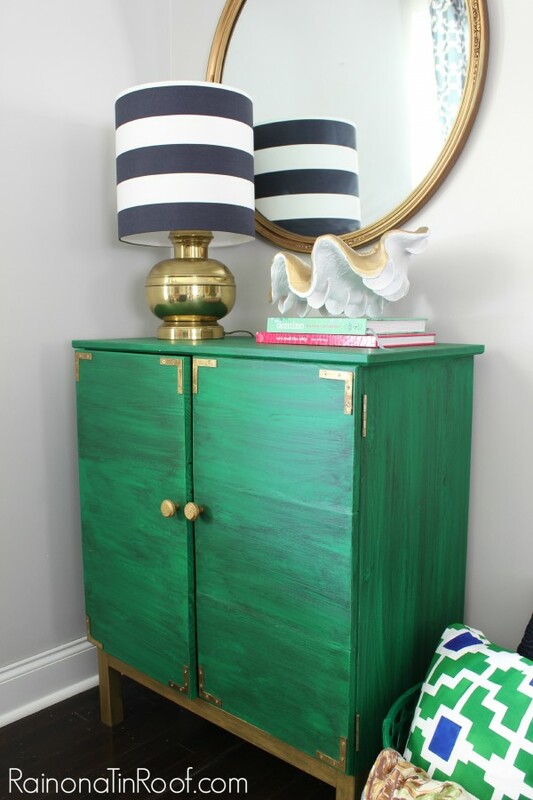 This Velvet Finishes Vivid hutch from my pal Jenna at Rain on a Tin Roof is one of my absolute favorites. I mean red + gold + Overlay’s panels + a liquor cabinet. What’s not to love here? 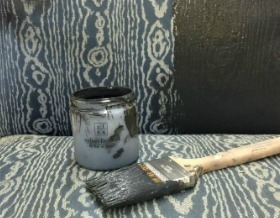 Jenna even staged this photo next to another Velvet Finishes upcycle that is dear to my heart – we will talk about that enchanting little chair later on in this round-up. 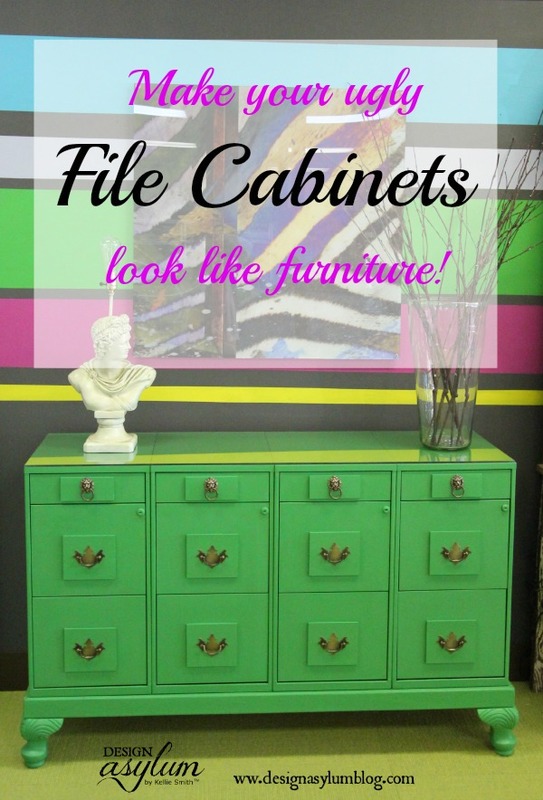 Remember these filing cabinets that I turned into furniture? I painted this piece with Velvet Finishes Enchanting. I love an amazing Goodwill transformation and this one is no exception, thanks to my local locksmith! the Locksmith Provo! If you need an upgrade in security or if you lost your keys, contact the experts from Queens Locksmith! This $12.95 Goodwill find received a complete Velvet Finishes Opulent makeover from Paula at Virginia Sweet Pea. Here is a little Vivid action for you. This is one of our many YouTube videos showing the process of using the Velvet Finishes Enhance Gel! Click below to watch the full video and don’t forget to watch the bloopers. 🙂 Horse heads, nutella, and table surfing – that’s all I’m saying. 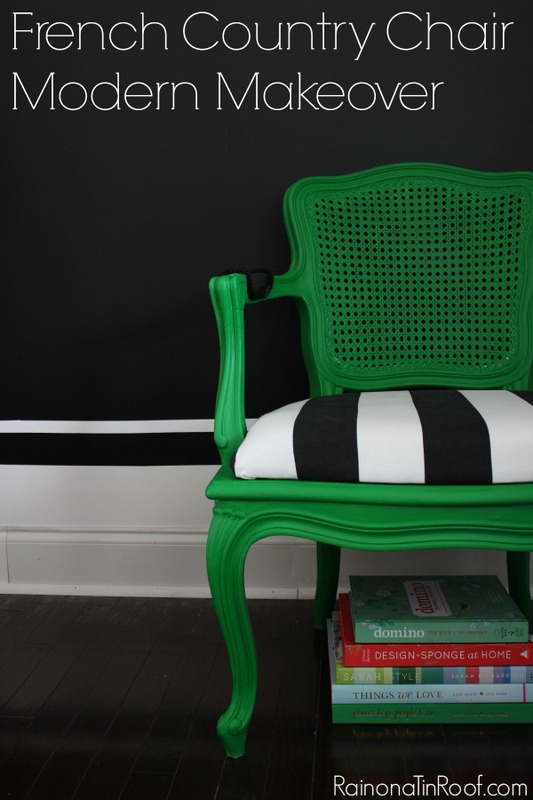 Remember the Velvet Finishes Enchanting green chair that I mentioned earlier? Well here she is in all of her glory. The Enchanting Modern French Country chair from Jenna at Rain on a Tin Roof. I am in love with this one, or shall I say enchanted? Gorgeous right? Cyndy mixed VF Rococo and Timeless to achieve this look. 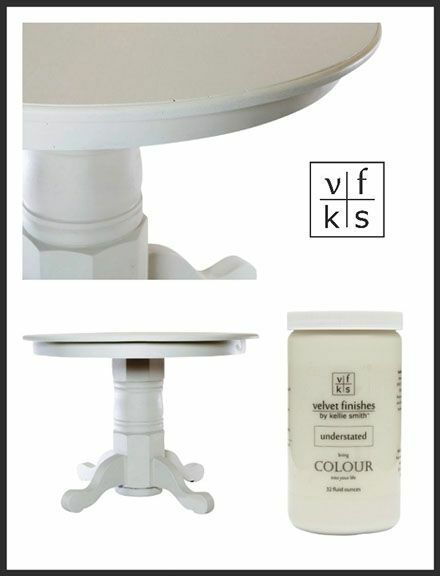 For more colour recipe ideas head over to the Velvet Finishes website. 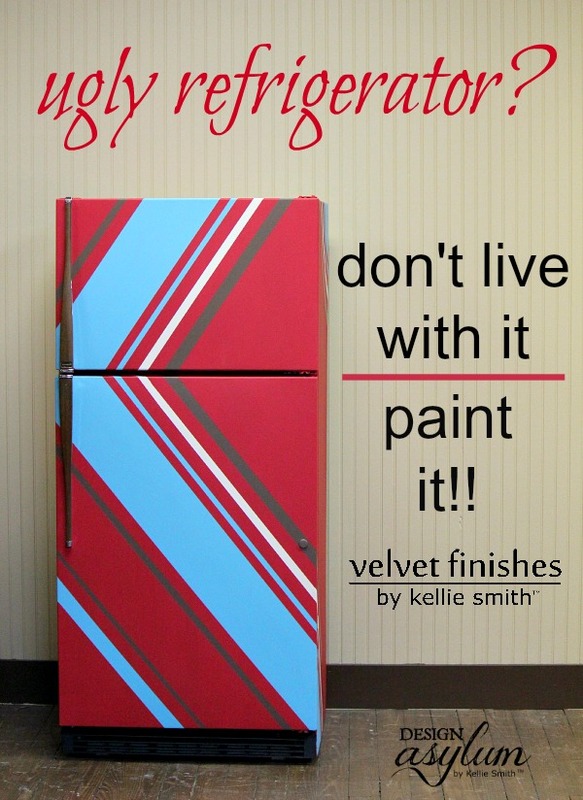 Up next, let’s take a look at this road-side refrigerator find that I painted with Velvet Finishes Vivid. 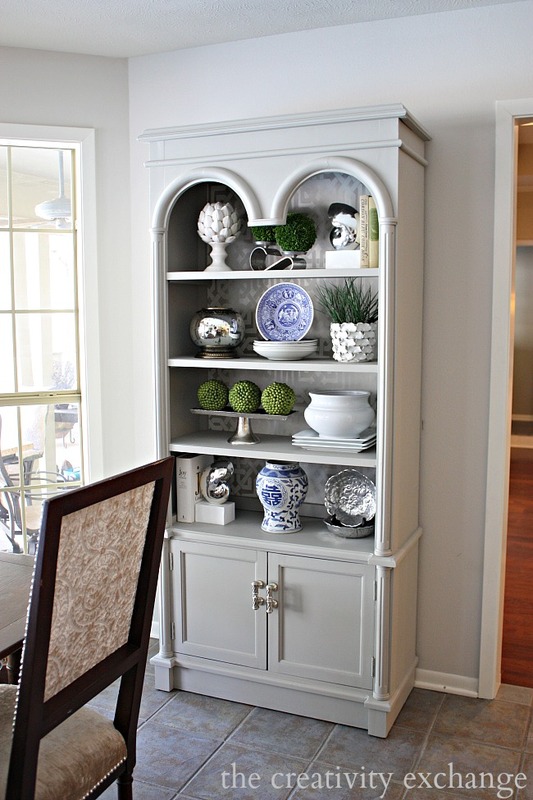 This piece went from drab white to all sorts of fabulous. You can read about this transformation and what it looked like before here: DIY Paint Your Refrigerator. 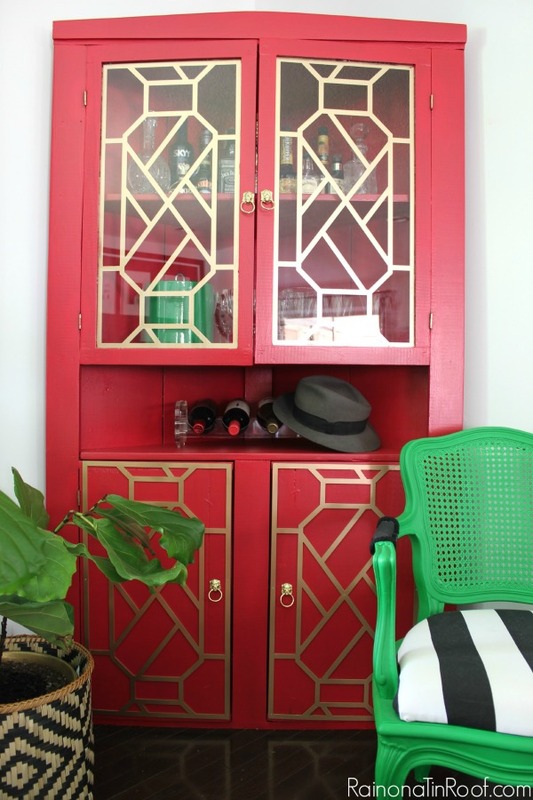 Jenna from Rain On a Tin Roof turned this IKEA hack into a Drink Bar using Velvet Finishes Baroque. Do you see the pattern here? Velvet Finishes Understated: restrained, low-key. This beautiful shade of beige has just a hint of a green undertone. Bottom line -> it is gorgeous! 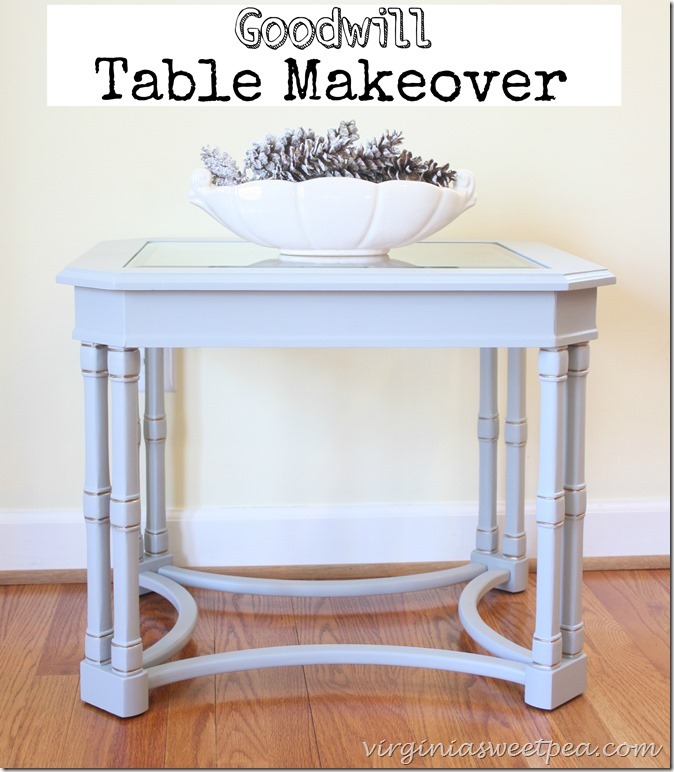 This is a table that we painted to feature on the Velvet Finishes website. Go here to see more VF projects! Velvet Finishes currently offers 21 Colours + Paint Brushes, Gels & Glazes + Painting Accessories & MORE! Go here to Shop VF. To see more Velvet Finishes projects find my Velvet Finishes Pinterest board here and follow us on Facebook to stay on top of surprise giveaways + sales. Do you coordinate your furniture with your Christmas décor? 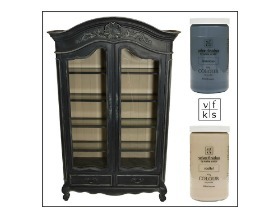 If so, I hope that you will give Velvet Finishes a whirl!